This is a labourer's grave, in a labourer's graveyard, in the Suurveld. The earth is softer where graves have been dug, so that burrowing animals prefer graves. Several graves in this graveyard have such burrows. OBSERVATION: Often, a sheet of corrugated iron is placed on top of the coffin, to prevent burrowing animals from accessing it. Occasionally that may include humans. 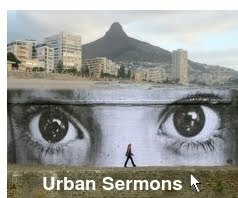 I have spent ten years in suburban ministry, and twenty-two years (total) in urban ministry. I am now the minister of a village Church, yet my involvements in urban ministry continue. There are a few reasons for this blog: 1. To help people form a picture of what ministry is about -- in particular urban ministry -- not least seminary students who may be destined for urban ministry. I have found that the image and the reality may be far apart in academia. 2. My experience in ministry may be (and, in fact, often has been) an encouragement to other ministers -- alternatively, a cautionary tale, as the case may be! Many notes of thanks have been recorded on this blog. And 3. Friends have simply told me how interesting reports of ministry are. This is not a "parochial" blog. Generally, only 10% of readers are local. Outside of South Africa, this blog is most read in non-Christian nations (according to the Mail & Guardian). At the time of writing, it is the most authoritative Religion blog in Southern Africa (according to Technorati). With all of the above in mind, the purpose of this blog is simply to record urban ministry "live and unplugged", in the form of a minister's diary. This blog is not a "church blog" -- it is a "ministry blog". For the most part, it is not my intention to share my views, except where these are related to praxis. The emphasis is the experience of ministry and the various events that surround it. A definition of “live” is “actually being performed at the time of viewing”. A definition of “unplugged” is “without amplification or modification”. However, see my Posting Policy below. It is estimated that half of all missionaries drop out every 13 years. This detailed and compassionate research charts the course of missionaries who re­mod­elled the call, turning its burden into blessing. FULL, FREE, OPEN ACCESS. [Click on the image above]. I apply the following questions to posts: Are they posted in good faith? Are they balanced? Are they compassionate? Are they informative about ministry? Do they help one better understand a problem or issue? I consider a post to be unproblematic if a person's identity is unknowable in the post, if the facts are public knowledge, or if a change of particulars (name, place, date, and so on) will truly protect privacy. If I consider that anyone who was not involved in an incident would recognise those who were, then I do not post. If a post could compromise the safety of those I blog about, then I make a post safe, or I do not post. I believe that these measures should enable me to continue to be "open" about urban ministry while not compromising privacy. In 2013, ninety percent of the posts on this blog were removed. I then put the question of the freedom of the blog to the South African Human Rights Commission. The position is this: if a post is legal, it is legal. Essentially, all of my posts were OK. There is freedom of expression in South Africa. Having said this, if any post should even cause discomfort, it will be removed from this blog immediately. This has always been the position. One does need to contact me for that, best through an e-mail or a blog comment, and I prefer to see a name on it. The post will be put back up only if there would seem to be compelling reason for it. It is hoped that there will be the assumption that I wish to address any discomfort satisfactorily, compassionately, and efficiently.